Under-five Mortality Rate (2015): 10 deaths per 1,000 live births (ranked 133 of 193). Source: UNICEF SOWC Report, 2016. Human Development Index (HDI) (2014): 0.757 (ranked 73 of 188). Source: UNDP, Human Development Report, 2015. ChildFund has worked in Sri Lanka since 1985, having commenced operations with five family helper projects in the Colombo and Galle districts. In 2003, ChildFund Sri Lanka began assistance to conflict – affected communities in Trincomalee and later expanded work to Batticaloa, Ampara, Vavuniya, Jaffna and Killinochchi. In 2004, ChildFund Sri Lanka also supported the tsunami response. ChildFund’s projects are development oriented. The programme currently consists of a sponsorship programme and several grant-funded projects. Child protection and social inclusion and cohesion are central to all the programmes. ChildFund Sri Lanka currently works with seven partners in 11 districts providing direct and indirect support to over 100,000 children, their families and communities. The programmes focus on working towards developing equal access to life choices and opportunities in health, nutrition, education and employment for children and youth in the most vulnerable communities. ChildFund works with communities at the grassroots level, to ensure that programmes are based on issues voiced by children, youth and parents in those communities. Our programmes are developed in coordination with relevant government agencies and are aimed at bringing about long-term positive changes in the communities in which we work. In working with partners from the community, our programme delivery model provides capacity building and resources to local organisations, enabling the development of leadership skills and ensuring long-term sustainability and community ownership of programmes. Our work is focused on helping deprived, excluded and vulnerable children improve their lives and grow into young adults, parents and leaders who bring lasting positive change in their communities. We build communities that protect and advance the worth and rights of children. We also have emergency programmes to address disaster reduction and response. Our current grant projects focus on: nutrition, health and education; economic empowerment and livelihood support; child protection, inclusion of children with disabilities, and youth empowerment; active teaching and learning approaches in schools; and film and magazine making. ChildFund Sri Lanka’s programmes focus on the journey of a child from birth to young adulthood and are divided into three life stage categories. Good nutrition and care during the prenatal period and early years. Opportunities to develop and learn through play and exploration. Stronger relations with informed adults who care for them. Knowledge and life skills in schools, at home and in the community. Foundations to build life-long learning, confidence and resilience. Improving the quality of learning in schools. Training to acquire skills needed to enter the workforce and meet other challenges. Skills to help understand and express emotions in ways that foster safe and fulfilling relationships. Enhanced social and leadership skills to become meaningfully involved for the betterment of their communities. ChildFund Sri Lanka works to achieve improved nutritional status of children, good parenting skills and community-based learning for infants and young children aged 0-5. Our programmes focus on ensuring that young children grow in a healthy, protective and developmentally supportive environment to reach their full potential. Approximately 2648 young children aged 0-5 years benefited through this programme in FY 15. ChildFund Sri Lanka’s Volunteer Lead Mother (VLM) programme focused on strengthening mothers’ engagement in child health, nutrition, care and development through the creation of a programme involving strong community participation. The key role of VLMs is to act as peer educators to improve knowledge, attitudes, and practices of mothers, fathers, and other primary caregivers on infant and child nutrition, and maternal nutrition. Programme interventions with VLMs were planned to make them more active, knowledgeable and skilful and saw the participation of 169 Lead Mothers during the course of FY 15. ChildFund Sri Lanka took an active and leading role in the ‘Scaling Up Nutrition Peoples’ Forum’ (SUNPF) established under the supervision of the National Nutrition Council of Sri Lanka. Leading INGOs and NGOs that work in the nutrition field are members of this Forum. ChildFund Sri Lanka led the nutrition during the 1st 1000 days programme and developed an advocacy plan to define the role of civil society organisations towards improving nutrition during the 1st 1000 days of a child’s life. ChildFund Sri Lanka’s continued support to Early Childhood Centres (ECD) in the form of building renovations, provision of indoor and outdoor play items, learning and teaching materials, access to water and sanitation, training for teachers and strengthening of parent-teacher associations. These efforts resulted in the creation of well-equipped and colourful child-friendly learning spaces, which encouraged parents to send their children to ECD centres. Further an initial educational curriculum on disaster risk reduction was developed for the Early Childhood Development sector to be practiced in ECD centres. This aims to create an understanding on and sensitize children aged 4-5 on potential environmental dangers and self-safety. It was developed with the collaboration of the Children’s Secretariat of the Ministry of Child Affaires and Disaster Management in Sri Lanka and was supported by ENHANCE (Ensuring Nutrition, Health and Children’s Education) project. The education curriculum will be piloted in ChildFund programme areas. Families were supported through the provision of skills and assets for domestic poultry farming, goat farming and kitchen garden/home gardening. ChildFund Sri Lanka identified different types of livelihood skills, abilities, and assets in developing criteria to select the most deprived families and providing them livelihood opportunities. This initiative in turn improved household livelihood security enabling parents/caregivers to continuously provide the food, shelter and safety needs of infants and young children. 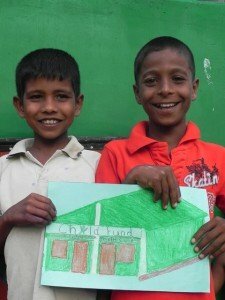 The promotion of child-centred education is one of the main programme priorities of ChildFund Sri Lanka’s Education programme for children aged 6-14 years. The focus is on developing children’s personalities and competencies based on their needs, requirements and interests. ChildFund Sri Lanka together with the technical support of the International Literacy Association and the facilitation of the Provincial Education Department trained 24 teachers in 10 Primary Schools in the Northern Province of Sri Lanka, as Master Trainers. This is expected to enhance the capacity of teachers to apply activity-based teaching and learning for children. Following the training these Master Teachers conducted cascade trainings to another 72 Primary School teachers. This sharing of their learning will equip more teachers to provide better quality teaching for more children. The teacher trainings have enabled both Master Teachers and Cascade Teachers to apply active and inclusive learning methods in their daily teaching. Key areas of concern for teachers have been promoting student engagement in learning, aligning new teaching methodologies to the existing curriculum, practicing instructional teaching styles, adjusting classroom environment by promoting and displaying student products, instructional information and support for learning and promoting positive classroom culture. Feedback from children indicates that since the implementation of the programmes, they are enjoying their learning within the classroom. It has also resulted in a notable increase in the literacy and numeracy skills of children. Going beyond project expectations, two Master Teachers have volunteered to cascade the training to 75 selected teachers of 15 schools in Mannar, Vavuniya and Mullaithivu Districts, which are outside of the schools selected for the project but in need of training. The initiative has been led by the Provincial Education Office with the understanding of the important role played by child-centred education in improving student performance. Our programmes for youth focus on helping them become skilled and involved in their communities. In FY15 our projects focused on making youth work-ready by empowering them with knowledge and skills for job opportunities that could contribute to reducing unemployment and underemployment. Through career guidance services support was provided to young people to create career vision plans based on their interest in the formal sector or self-employment. To make these plans possible ChildFund also linked youth with national vocational training courses and around 400 youth received support to start vocational training. Young people in rural areas received training to engage in self-employment opportunities such as poultry farming and horticulture. Awareness programmes were conducted on the importance of vocational education and job market trends for young people and parents. ChildFund also provided support to career guidance centres for effective service delivery. Youth-friendly sexual and reproductive health services became an integral part of ChildFund’s projects for youth in FY15. As a starting point, ChildFund’s local partners integrated sexual and reproductive health interventions into their long-term project designs in FY15. Youth friendly SRH information was also shared through a standardized peer-to-peer model as well as through respected medical professionals. Local partners built a successful rapport with government health officials on working on SRH issues. Five SRH awareness programmes for parents were conducted with the support of Medical Officers of Health, to sensitize parents on youth SRH issues and the significance of SRH education for young people. ChildFund also supported a rural community to form SRH working groups with community leaders and stake holders, in order to advocate and ensure youth friendly SRH services. Programmes also focused on strengthening and building confidence in youth to enable them to become change agents in their communities. Technical and financial support helped strengthen 300 youth clubs around Sri Lanka. Training was provided to young people in youth clubs on how to conduct youth led micro projects. They were provided small grants to implement their ideas. Following the training, youth engaged in a variety of successful projects such as renovating playgrounds, building bus stands drug/ alcohol abuse awareness campaigns. ChildFund also linked youth clubs with government structures such as the National Youth Services Council. ChildFund Sri Lanka and its partners supported capacity strengthening of village level disaster management committees in several districts during the course of FY15. This included reforming village disaster risk reduction (DRR) committees, creating community awareness on DRR, disaster preparedness planning and creating emergency preparedness plans. In addition to support for the development of soft skills, the committees were provided with necessary emergency response equipment and kits in Mannar and Trinco. 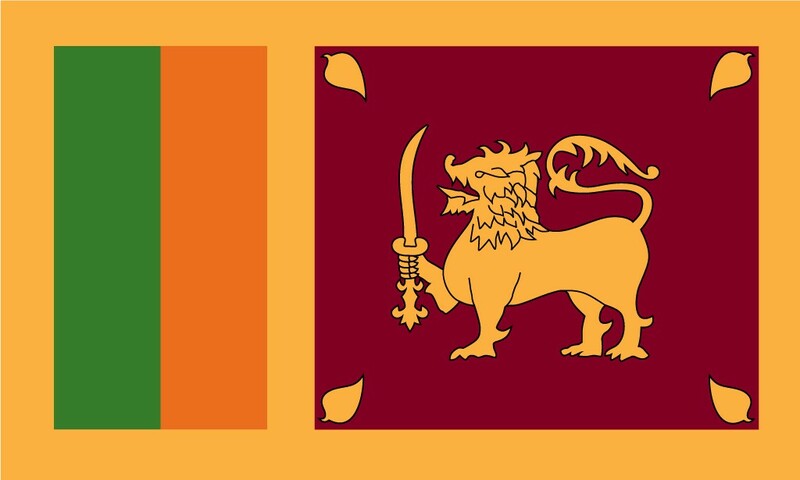 In August 2014, Sri Lanka was severely affected by drought and in December 2014 by floods. The knowledge and skills acquired helped disaster management community committees to actively engage with the Disaster Management Centre, Government and ChildFund’s local partners, to effectively coordinate emergency response assistance. They also played a key role in ensuring the safety of the affected community. In FY15, ChildFund’s local partners received training on conducting hazard, vulnerability and capacity assessments to support community based organisations. The capacities of local partners were strengthened on emergency preparedness and response planning to be more effective and efficient in responding to emergencies. Currently, ChildFund’s local partners are in the process of developing their own emergency preparedness plans based on the trainings and experience gained. 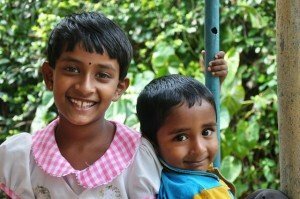 Child protection is a cross-cutting theme at ChildFund Sri Lanka and covers all three life stages. A training of trainers (TOT) was organised on child protection for community mobilisers of all local partner organisations. At the training the community mobilisers were given awareness on how to recognize child abuse, how to talk to a child who has faced abuse, the referral system in the country when reporting an abuse, the Convention on the Rights of the Child, and laws pertaining to child abuse in Sri Lanka. As a follow up, the local partners will be developing a vulnerability map for all enrolled children and they will conduct child protection trainings for partner staff, the board and village leaders. Preliminary work has been conducted on the corporal punishment research that will be conducted with all the local partners. The national office will be conducting this research together with the National Child Protection Authority (NCPA – a government body that leads and governs child protection in the country). An initial discussion was held at the NCPA with NCPA staff, Save the Children, World Vision and a local NGO on the way forward for corporal punishment in Sri Lanka. The group has decided to meet once again to develop an action plan on corporal punishment. A research study will be part of the action plan and ChildFund will be primarily responsible for the research study. ChildFund Sri Lanka will be working with local partners to identify children with disabilities within their locations and develop programmes for children with disabilities through a new grant called community strengthening organisations (CSO). There will be a key informant methodology (KIM) training for all staff on identifying children with disabilities, which will be followed by a camp for the local organisations to identify the children and to give them basic medical support. This will be continued with a sustainable programme for these children through community based rehabilitation programmes. ChildFund is also engaged in the Children with Disability-Inclusion Project for children with disabilities in the post-war northern region of Sri Lanka. The project funded by ChildFund Germany promotes community awareness and encourages children with disabilities to take social roles and responsibilities in their families and communities, and to be treated as equal members of society with equal access to health care, education and social events. Batticaloa is comprised largely of agriculture and fisheries based community. It is one of five dedicated partner project areas supported by ChildFund New Zealand. Currently New Zealanders sponsor around 1,000 children in the area; regular funds are used to address issues relating to water, early childhood education and nutritional assistance. In addition, a public fundraising appeal is funding a teacher training project to increase the quality of education in the area. The project focuses on community development and aims at community self-sustenance in the long term. Through the Livelihood project, ChildFund Sri Lanka together with its partner works towards sustainable economic growth and human development activities that contribute to improved sustainable economic development. Project activities include: Income generating initiatives; small and medium business development; microfinance services; support to improve production and/or marketing of goods and services. Sectors receiving assistance include agriculture, horticulture and fisheries. The project benefits 3,000 vulnerable families in Batticaloa and is part of a holistic approach to community development. Children with Disability-Inclusion in the North of Sri Lanka project, is located in the coastal district of Mullaitivu. It focuses on helping children with disabilities to take social roles and responsibilities in their families and communities, and to be treated as equal members of society with equal access to health care, and education. The project serves communities in the Puthukkudiyiruppu and Maritimepattu divisions in the Mullaitivu District. Based on the idea that empowerment and inclusion of children with disabilities is best fostered through community-based rehabilitation, this initiative uses a multi-sectoral strategy for community awareness, access to health, education services and social events as well as improving the accessibility to their build environment at home and in schools. Support income generation for caregivers of disabled children through establishment of 20 CBR self-help groups. The ChildFund Connect project is ChildFund’s first substantial foray into digital storytelling. Recognizing a big opportunity in this intersection of story and technology and building on the experience with the Connect project, ChildFund Sri Lanka came up with the idea for Island Connect, a project that uses digital technology to elevate the practice of storytelling and as a means to build a sense of shared identity across Sri Lanka. Island Connect gives young people across different language and religious groups within Sri Lanka the opportunity to create, watch, and share digital stories through a series of media trainings, workshops, local and national exhibitions. This initiative has developed a unique storytelling methodology using a variety of media and creative tools to support youth in under-serviced regional and remote areas across Sri Lanka. This innovative project has come at a unique time in the social and political context of the country, directly providing young people with a platform for self-expression and communication across different ethnic and cultural groups. Island Connect uses multiple media formats (videos, photos, digital media) across several types of media (online, TV, radio and innovative local screenings, festivals and exhibitions) for a range of outcomes: social change; leadership and empowerment; teamwork beyond ethnic, cultural, language or physical differences; advocacy and voice; sharing everyday lives and building understanding; media literacy and critical thinking; and technical skill development. Local organisations in the four project sites have begun to offer paid media production and training work – this is part of a vision of local sustainability through building a social enterprise model around each video collective. Island Connect On-line: A substantial expansion into online programmes through social media, video sharing and a web archive. ChildFund Sri Lanka is currently seeking partners to extend this pilot project as a multi-year, multimedia programme that builds on the pilot sites and expands to an additional six (6) sites in 2016. Economic growth in Sri Lanka has been among the fastest in South Asia in recent years and Sri Lanka has maintained positive social indicators compared to other countries in the region. However, notwithstanding declining poverty, 13 districts comprising 36 percent of the total population remain below the national poverty headcount. In four conflict-affected border districts, poverty rates are at or above 20 percent. While the national unemployment level is low at 4.4 percent, 14 districts report unemployment rates higher than the national average. Pockets of poverty continue to exist across regions and between social groups. This is especially so in the districts of Batticaloa (in the Eastern Province), Mullaitivu (in the Northern Province), Moneragala (in the Uva Province) and in the estate sector. Affected communities lack basic infrastructure and sanitation facilities and access to health and education. According to Department of Census and Statistics survey data of 2011, 76 percent of total unemployed are below 29 years of age. In the north and east where families have returned after a 30-year war that ended in 2009, infrastructure, livelihood assistance and life skill development needs exist. Malnutrition is high and assistance is required for children and youth with disabilities and in rebuilding civil society structures. Overall, there is an increasing trend in reports of violence against children, mainly sexual abuse and abandonment. Lack of protection at home due to migration of mothers for work abroad can also be linked to the higher vulnerability of children to abuse. Sri Lanka is on track to meet most of the Millennium Development Goals (MDG), outperforming other South Asian countries. Although Sri Lanka has done well in improving maternal and child health, nutrition status of children under five years, is still a major concern, as more than one fifth of children under five years, are under weight. While making education compulsory for children aged 5 to 14 years has been effective in reaching targets related to Universal Primary Education, there is an overall decline in the percentage of children attending school after 14 years of age: Only 86 % of those aged 15 to 16 years are in school and only around 60 % continue their education after 16 years. Although Sri Lanka remains a low HIV/AIDS prevalence country, the number of cases is gradually increasing; however SRH knowledge is low among youth. Climate-related hazards pose a significant threat to economic and social development in Sri Lanka. Extreme variability in rainfall has been a defining feature in the country’s climate. Climate projections have indicated a rising rainfall trend in the wet zone and decreasing rainfall trend in the dry zone, with the risks associated with water-related climate variability expected to intensify. Less frequent precipitation in already dry areas could increase the frequency and duration of droughts while higher and more variable rainfall is expected to increase the frequency and intensity of floods, affecting monsoon-dependent areas in particular. Climate change is expected to significantly impact agriculture, water resources, energy, environment and fisheries in Sri Lanka. “Love, economics and the social environment were things that whirled around my life, often creating obstacles in my path. When I was six years old, my mother died and my father became very sick. The combination left a big hole, one that felt like it would swallow the rest of us. But I hung on,” says 21 year-old Nadeeka. “I worked hard against many obstacles. During this time my life was also touched by two other people living many miles away. Through the ChildFund programme I was being sponsored by a French couple. I felt their presence through letters and gifts that would arrive at my home like little surprises. These would brighten up a dull day as I struggled with my education”. Their encouraging words would sometimes echo in my mind when I was having a bad day. Sometimes it felt like they were filling a gap left by my parents and were quietly guiding me with their inquiries and encouragement”. “Despite many difficulties at home there were also many victories”. I became library captain, class captain and school captain. My relationship with ChildFund’s local partner, Ruhunu Wellassa Area Federation (RWAF) enabled me to gain new knowledge and experiences through a number of learning opportunities. The supplementary classes organised by RWAF helped me with my studies at a time when I couldn’t even dream of affording tuition classes. In the meantime I started A/level studies in the Arts stream and from the start received assistance for my advanced level education from ChildFund, in terms of tuition fee payments and school materials. In grade 08 and 10, I managed to be placed second in class and from grade 10 until the A/level exam I was placed first in class. My hard work paid off when I finally gained entrance to university. But there was more: I became the only student in my school to gain university entrance that year. I was ranked 28th in the district. When I wrote to my sponsor parents about it they too were overjoyed. Shasimitha joined the sponsorship programme this year. She is 10 years old and studies in grade 5. She recently sat for the 5th grade scholarship examination and scored 151 marks, a considerably high mark compared to the general result scores in the area. Her mother Karthayini attributes her daughter’s success to the programmes conducted in the sponsorship programme. “The common English class conducted to encourage children to speak day-to-day English, awareness sessions on the importance of education for children, trainings during home visits and advise to families on nutritious food, education and health aspects related to children have helped me as well as Shashmitha,” she says. Karthayini is also a lead mother in ChildFund’s programme and the knowledge acquired through the programme has fortified her outlook on caring for her children. There are no learning facilities close to her house for children her age. To find a teacher, they had to go very far. Now, with the knowledge she has received through the sponsorship programme, Shasimitha is assisting other children in her neighbourhood to do their homework. The village of Mandapathady in Manmunai West underwent tremendous hardship during the conflict and is now gradually returning to normalcy. Communities living here do paddy cultivation and fishing, both of which are seasonal. Most of them earn daily paid wages by doing odd jobs. Natural disasters like flooding and drought are frequent in the area. Shasimitha has never gone out of Mandapathady, the village of her birth. Through the sponsorship programme she received an opportunity to go on a cross visit to a school in town where she was able to observe the different methods of teaching and learning. When asked about the experience of her exposure visit to one of the model primary school in Batticaloa, she said, “I see a big difference in the school buildings and the way the teachers and students conduct themselves. Neatness and orderliness are maintained. Anyone will be happy to study in this type of school.” The sponsorship programme also provided Shasimitha and a group of other children an opportunity to visit some ancient historical places they had read about in their study books. 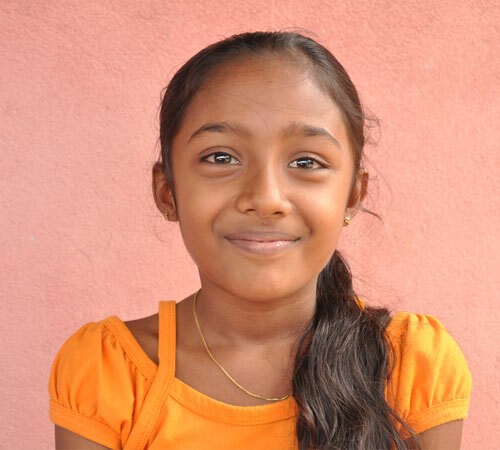 Sashimitha is a happy sponsored child who looks forward to a brighter future where her dreams will be realized.